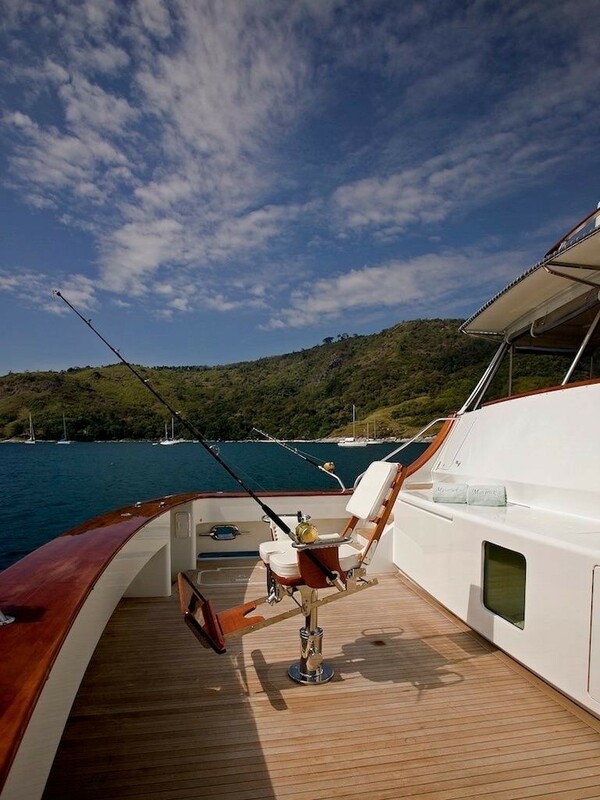 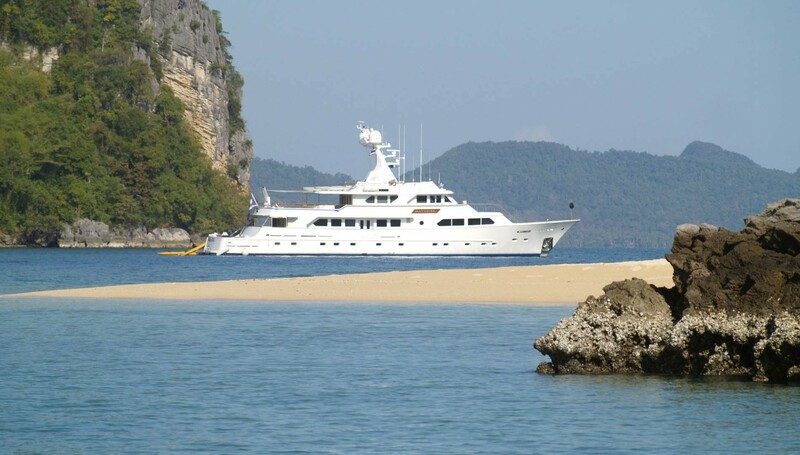 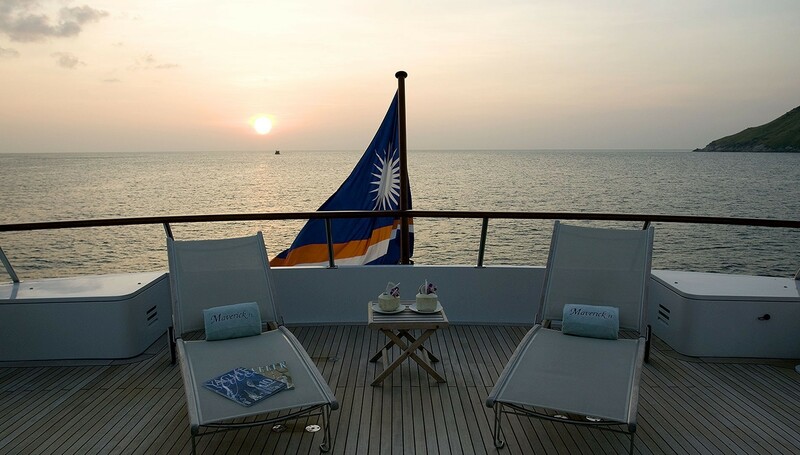 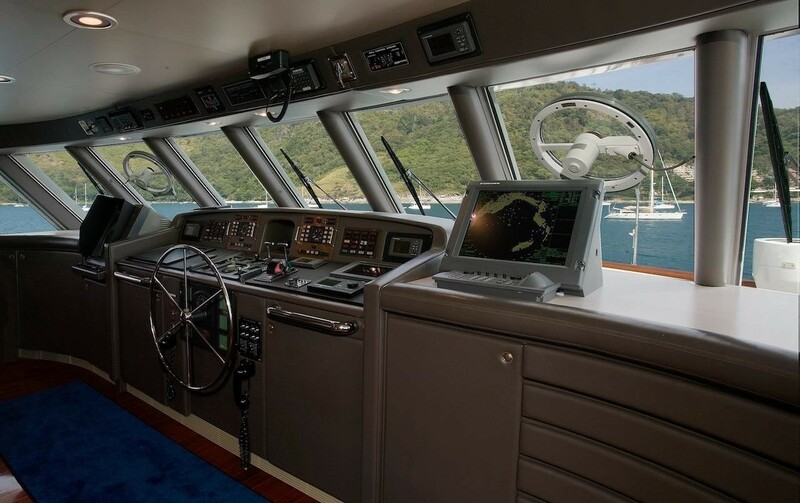 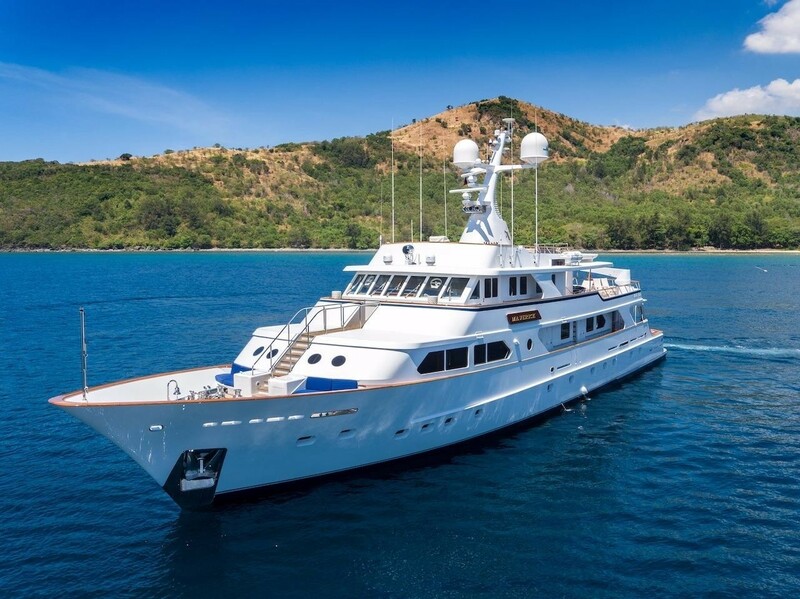 MAVERICK is a proven world cruiser expedition motor yacht, which was built by Sterling Shipyard in 2013. 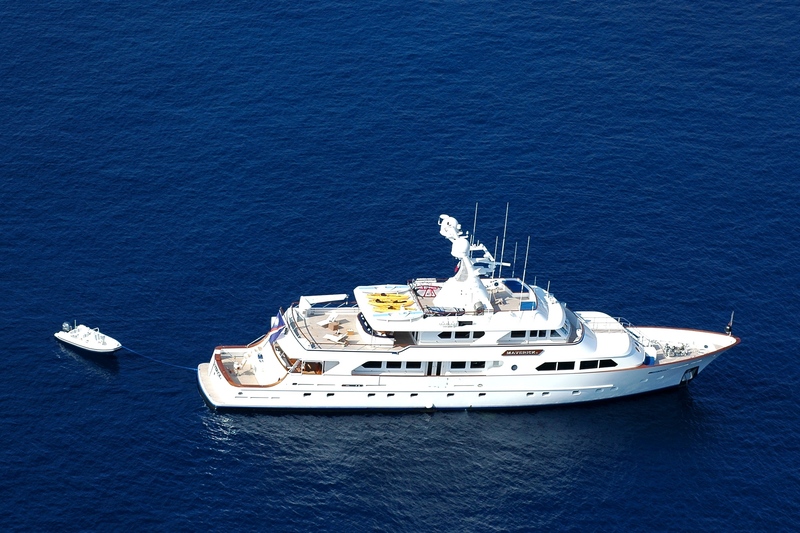 She was refitted in 2013. 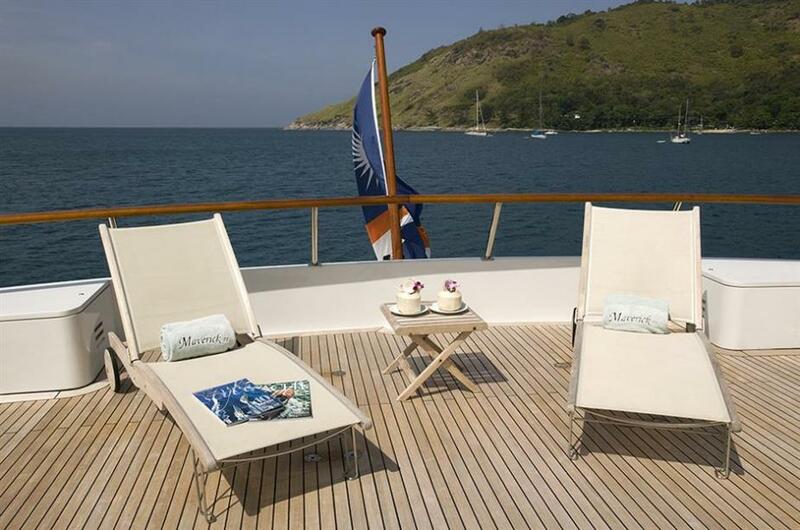 Her facilities and layout allow guests to enjoy several indoor and outdoor lounge and dining areas, sun pads and deck chairs. 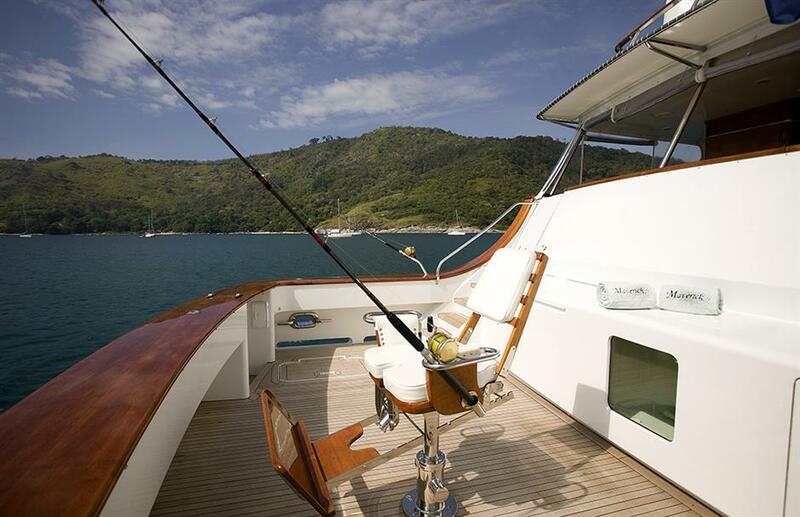 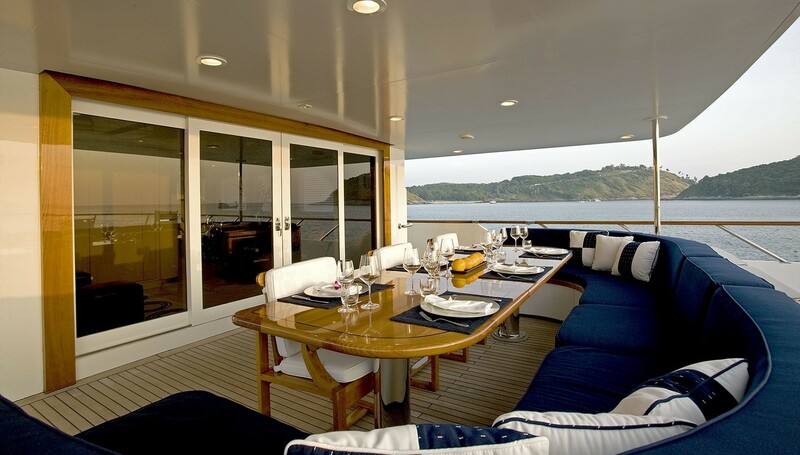 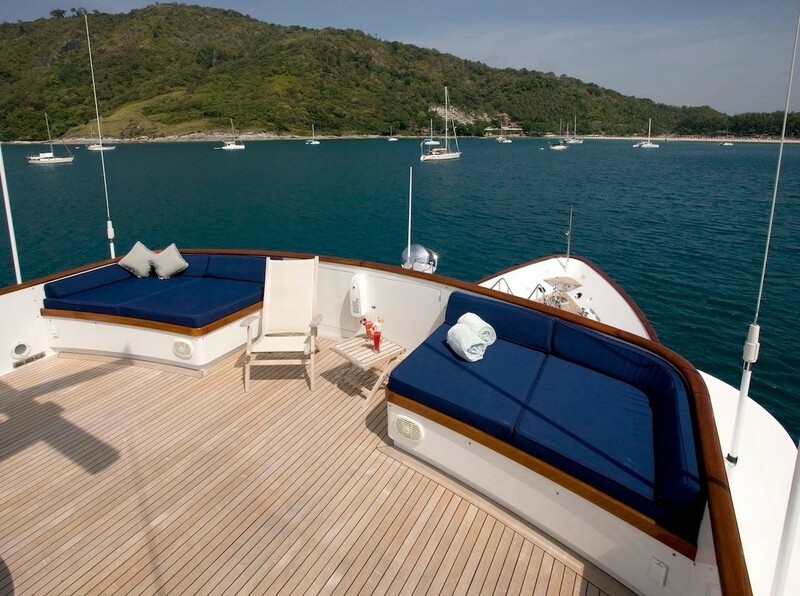 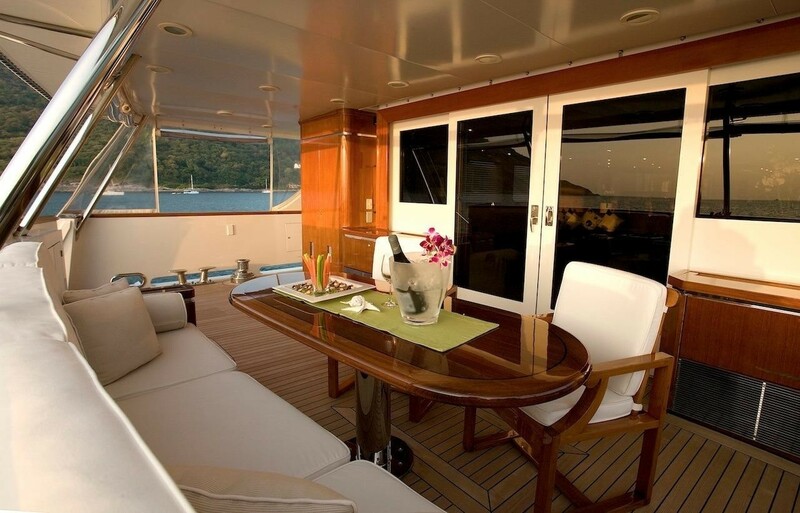 Accommodation onboard this yacht is offered across four cabins for eight guests. 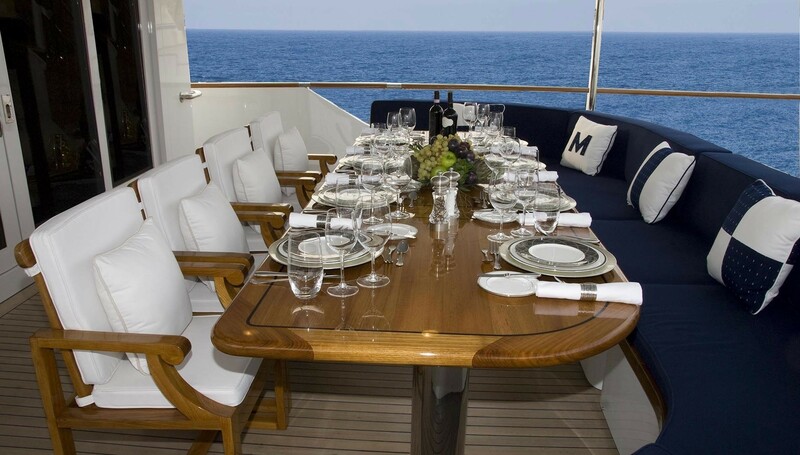 The interior boasts large spaces, ideal for dining with family and friends, as well as quiet time relaxing after a day of exploring the best of popular yachting posts around the world. 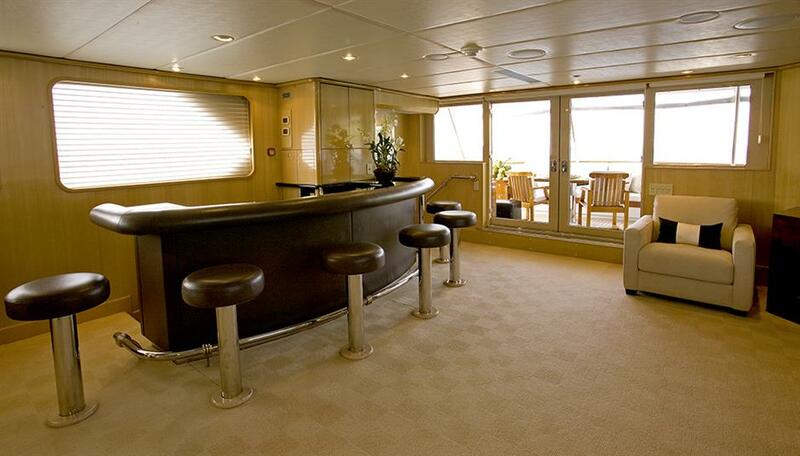 There is also a bar, vast lounge area and formal dining room. 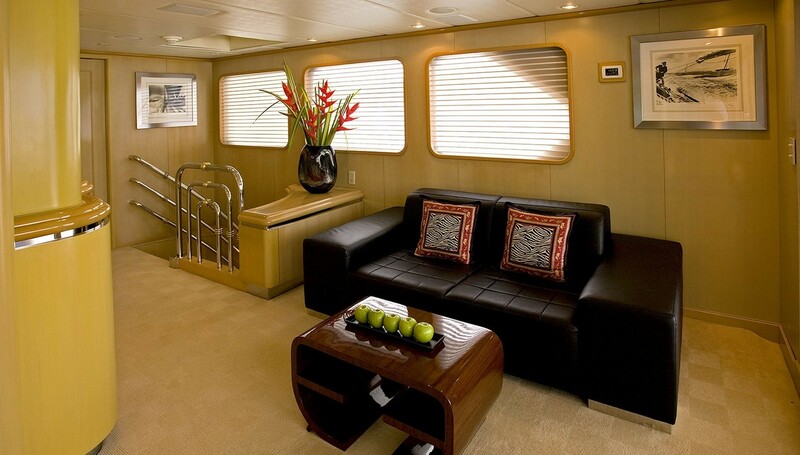 Timeless decor and plenty of light coming in through large windows create an airy and comfortable atmosphere. 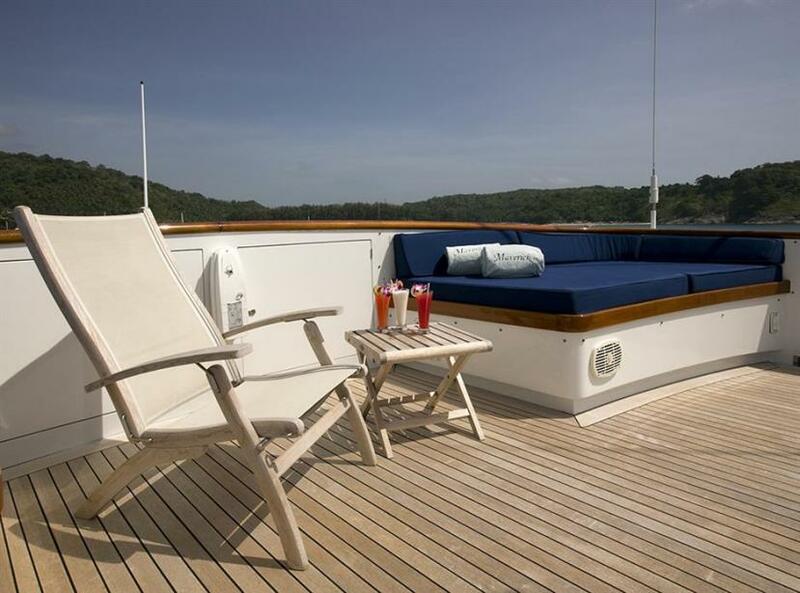 Guests can enjoy great views and sunbathe on the sundeck. 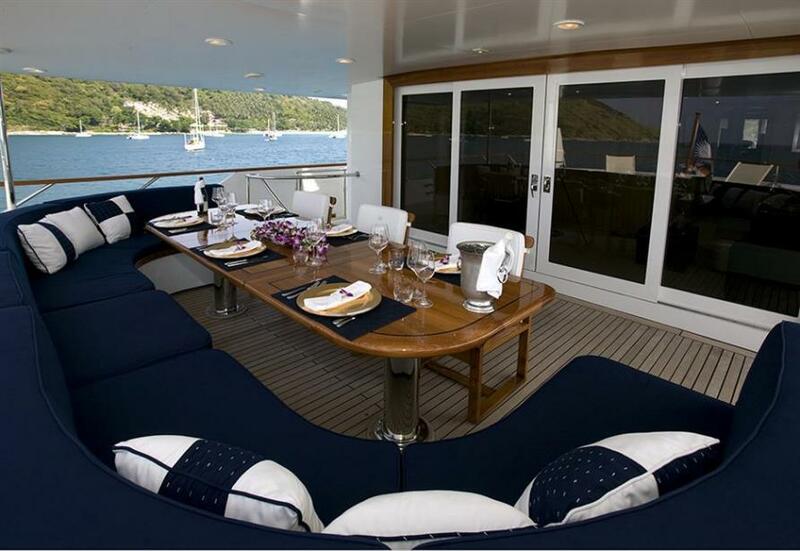 Further open spaces invite to dine alfresco, as well as socialise and unwind in spacious lounging areas. 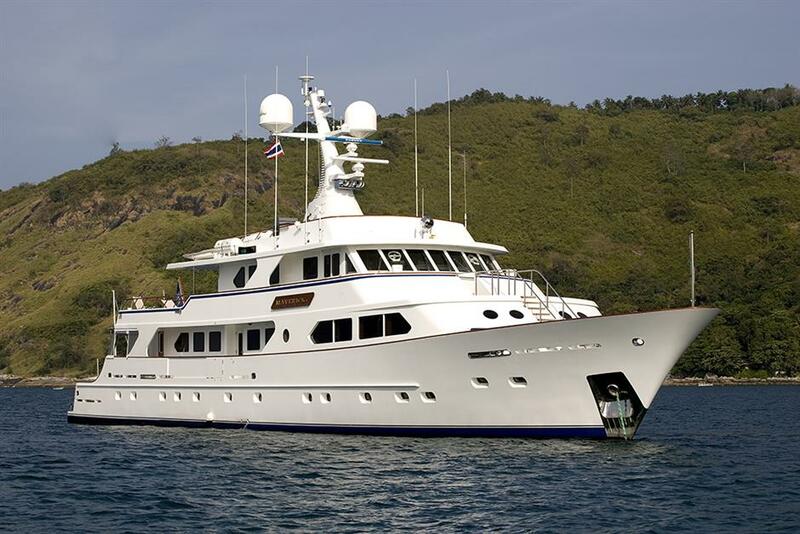 MAVERICK offers exceptional volume for her size and is a proper proven world cruising yacht with a 3,500 mile plus range. 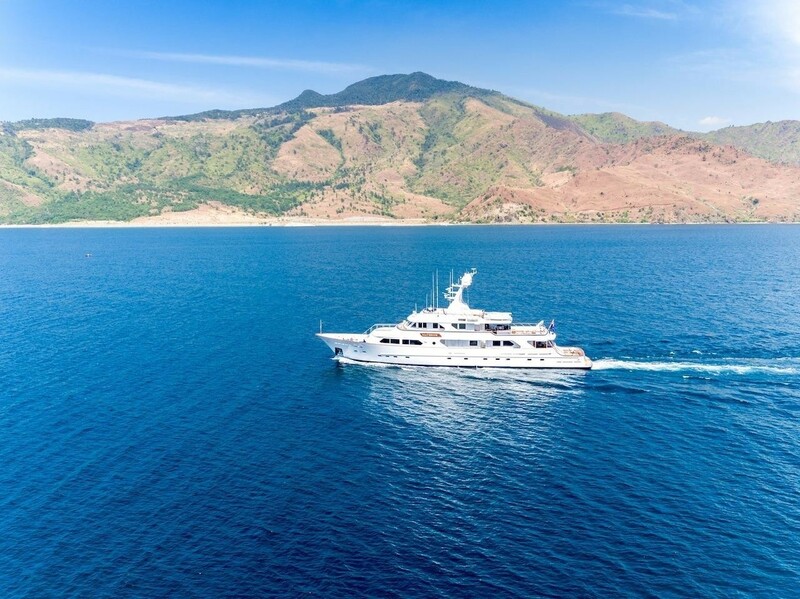 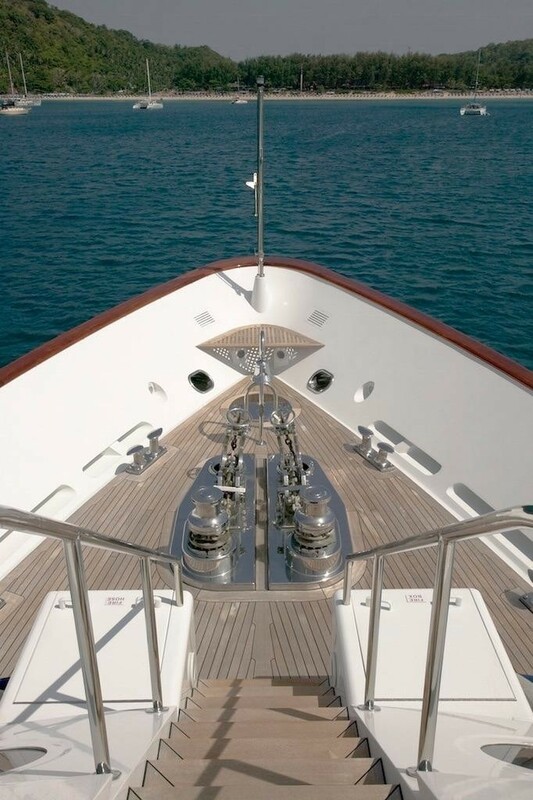 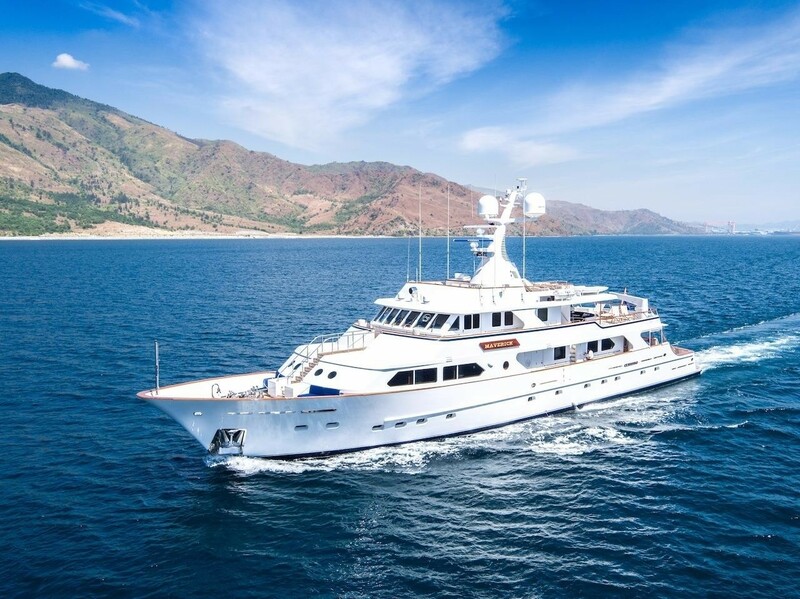 For a yacht of this size, she offers an outstanding range of toys and first-class entertainment and communication systems including I-Pod docks in all guest areas, Inmarsat Fleet 77, BGAN broadband, Ship secure WiFi and Satellite TV. 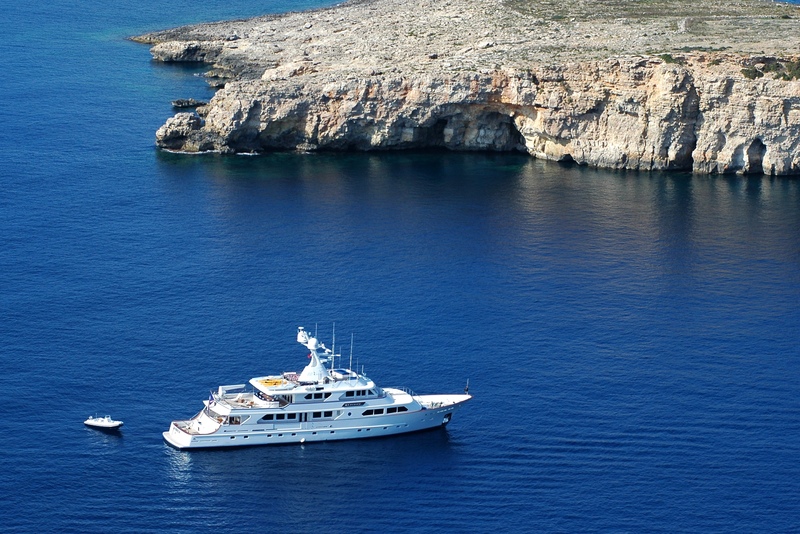 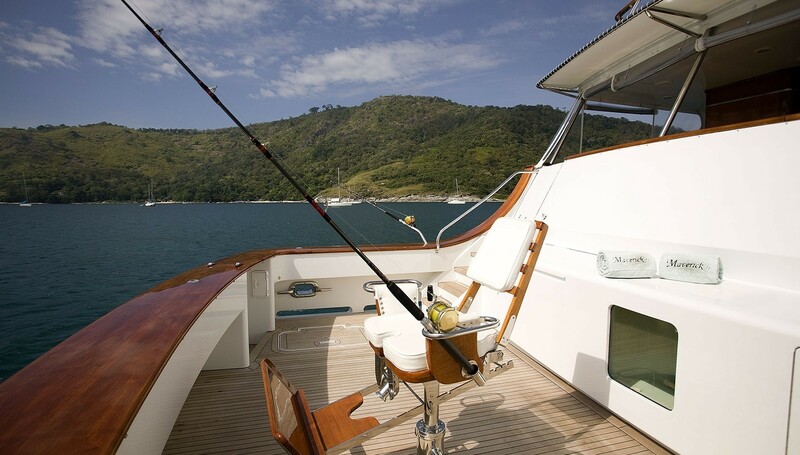 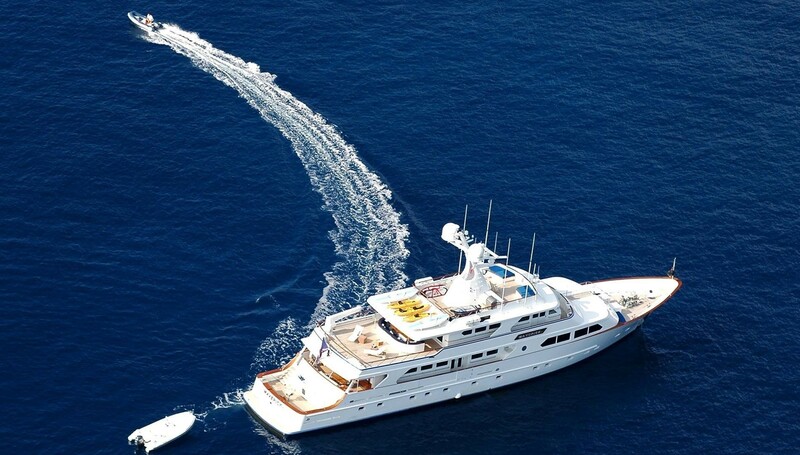 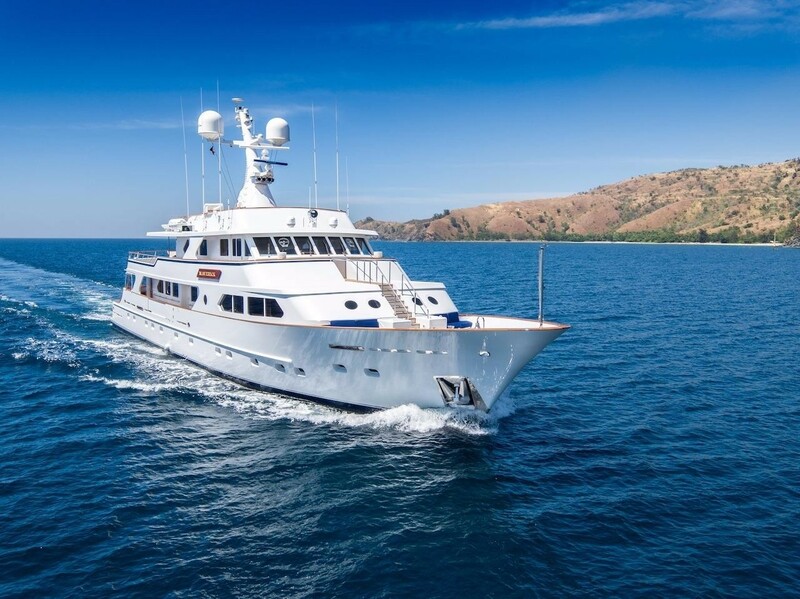 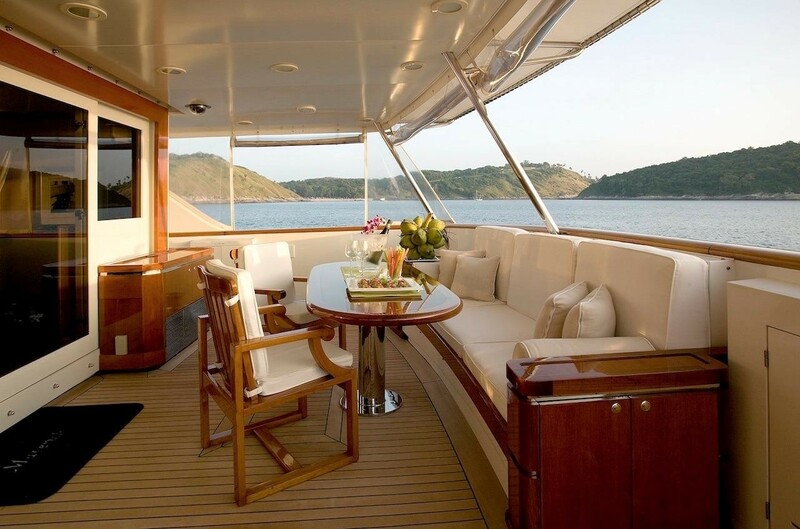 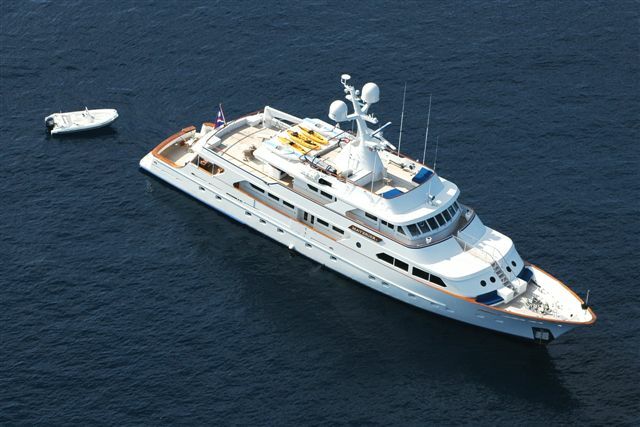 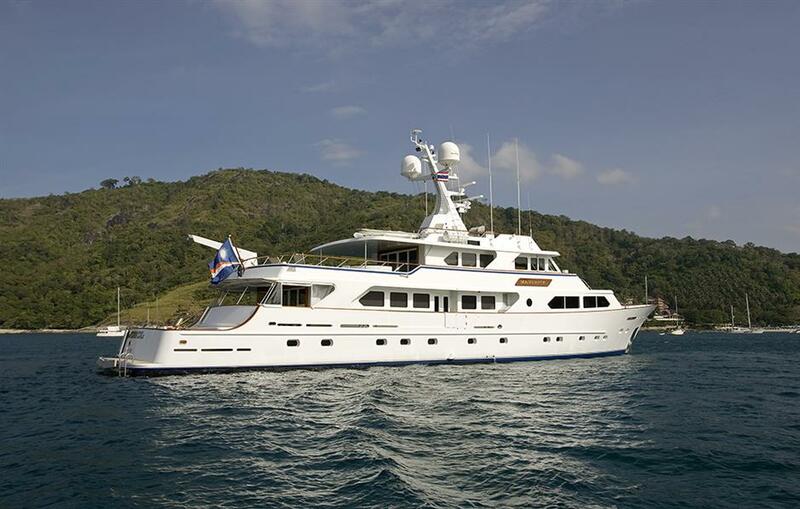 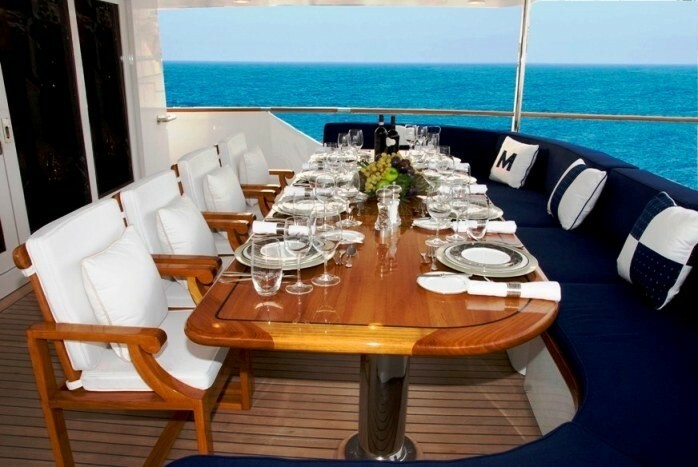 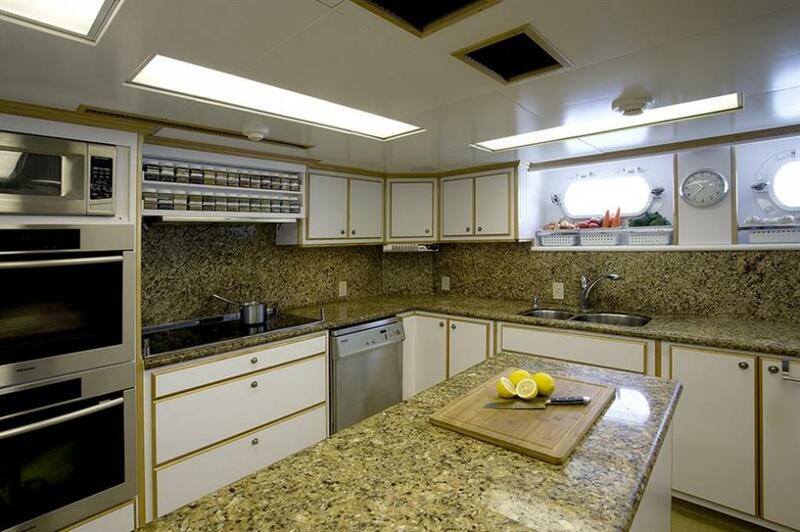 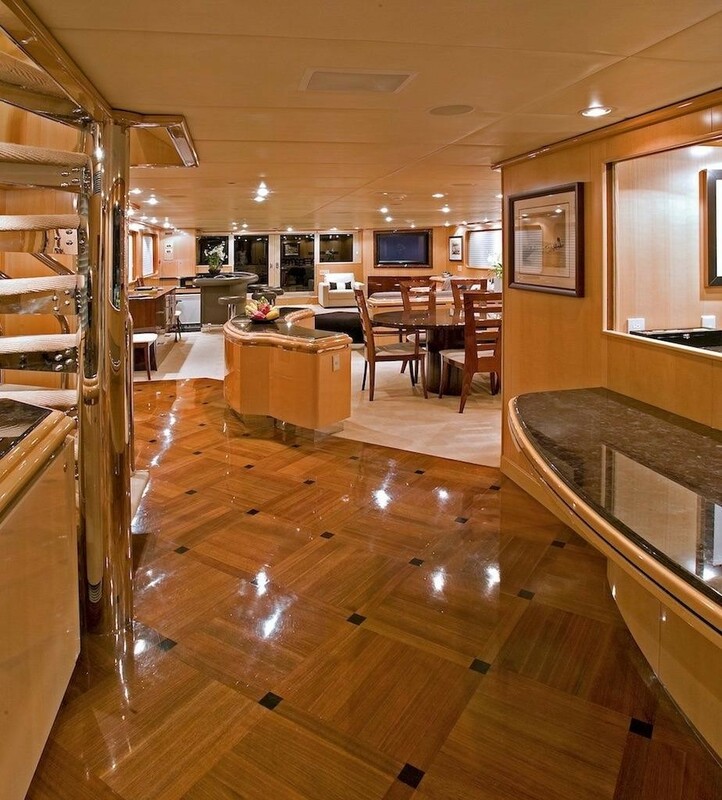 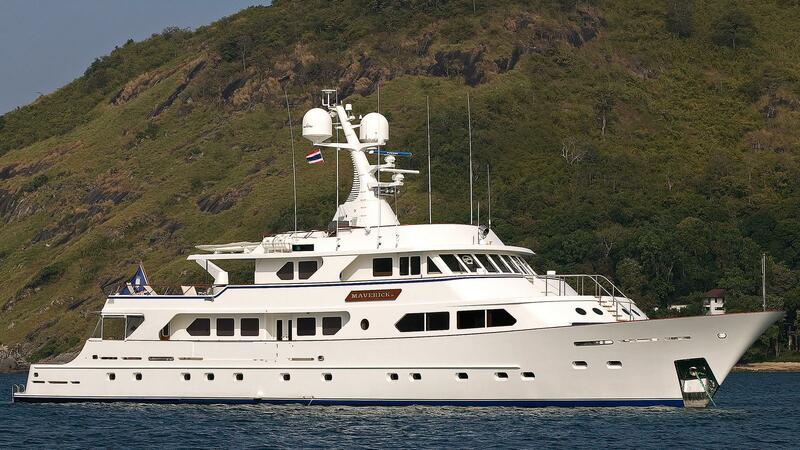 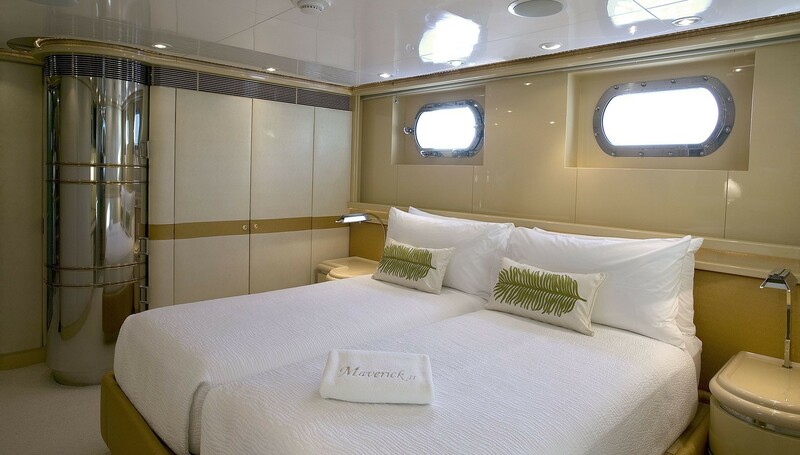 Motor Yacht MAVERICK II can comfortably accommodate 8 guests in 4 staterooms. 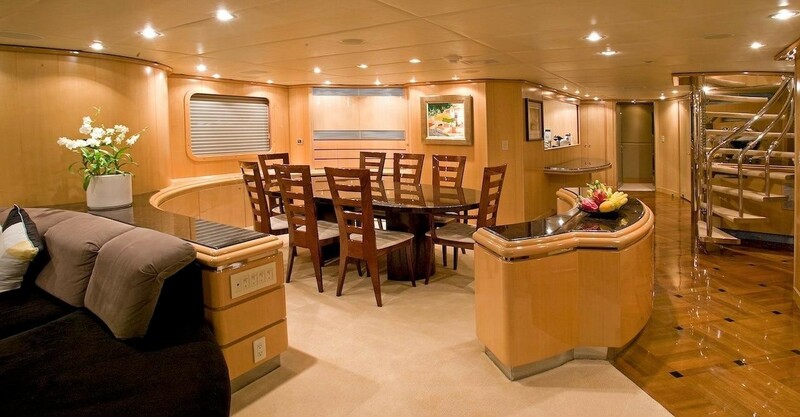 The Owner’s Suite has the devotion of the full forward are on the main deck. 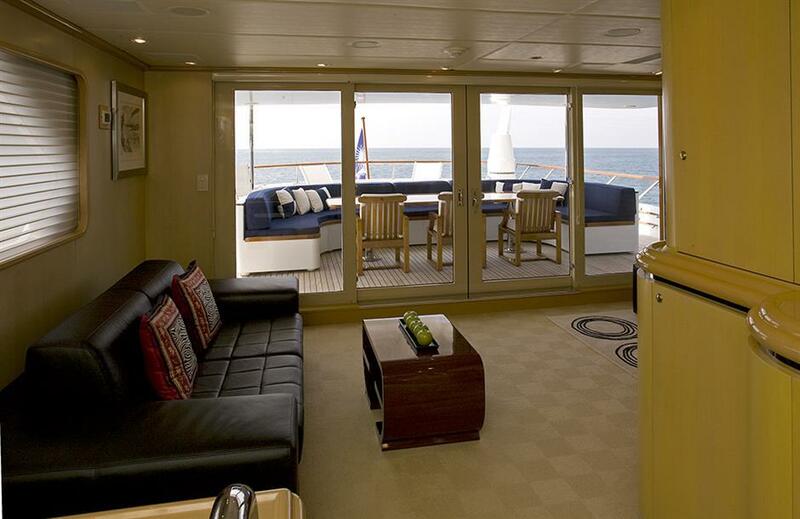 This Suite includes a spacious stateroom, office/study and seating area. 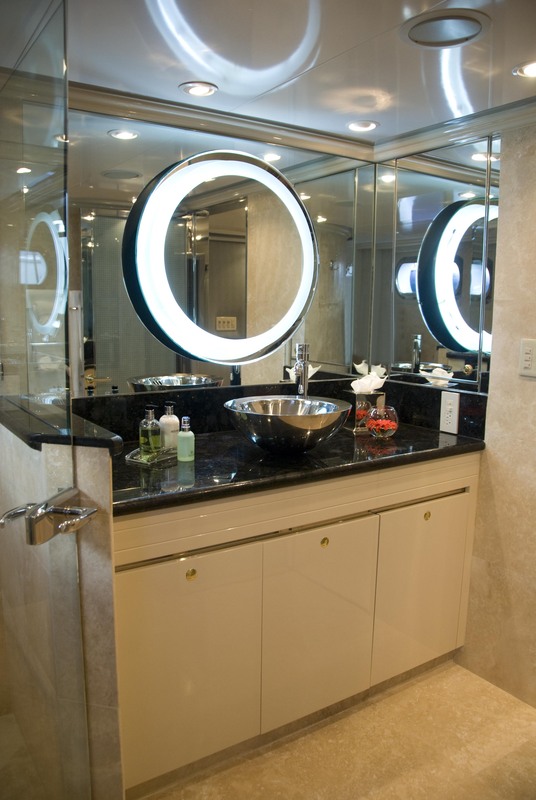 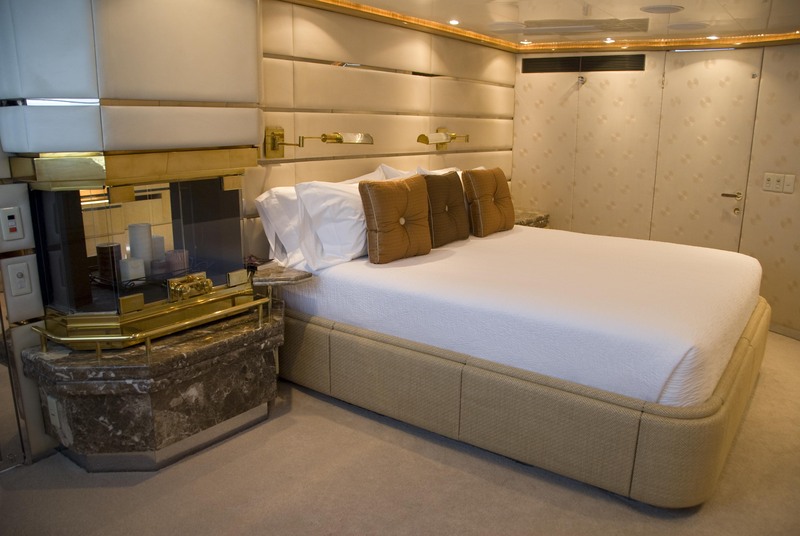 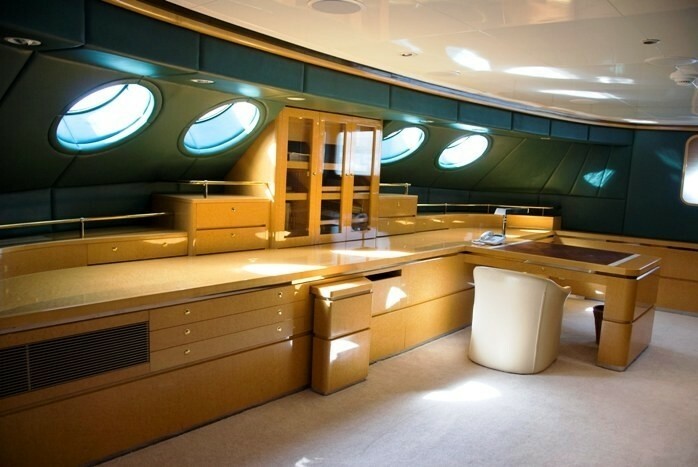 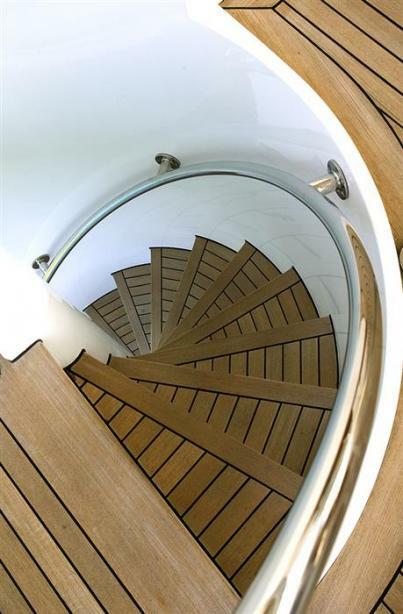 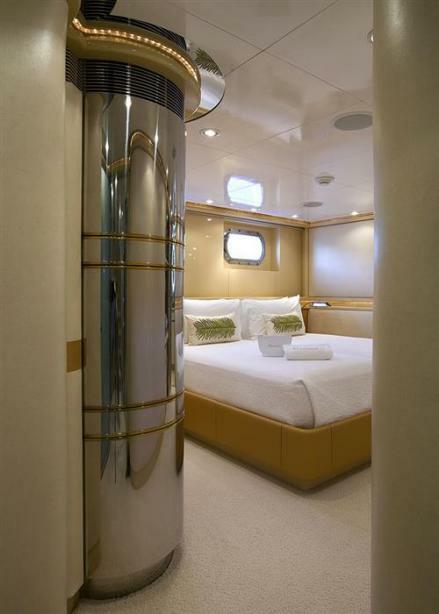 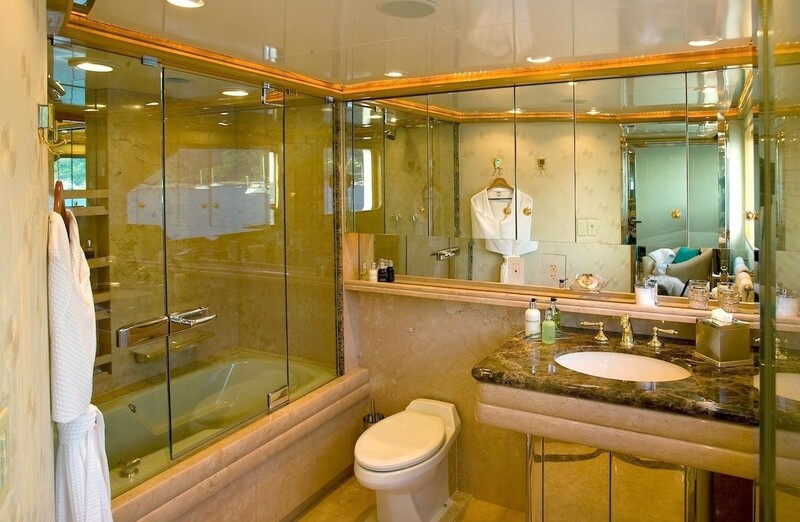 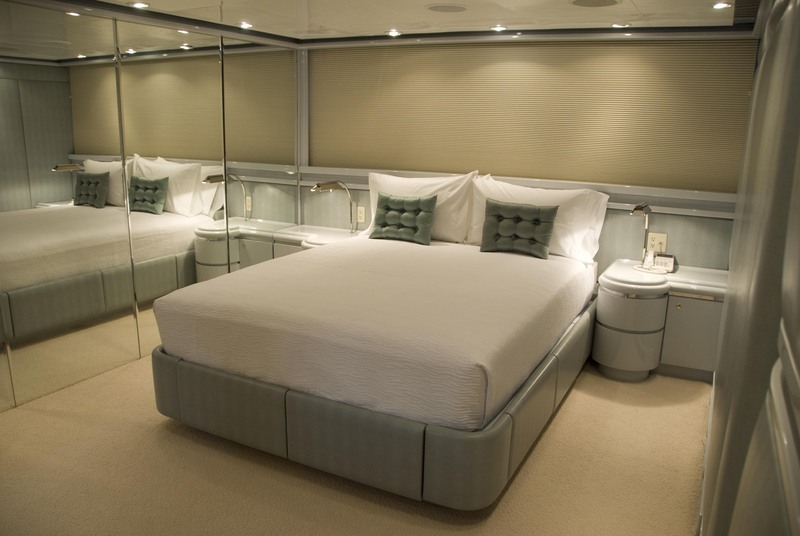 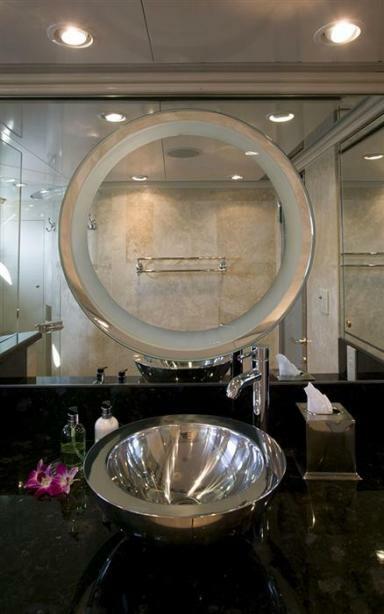 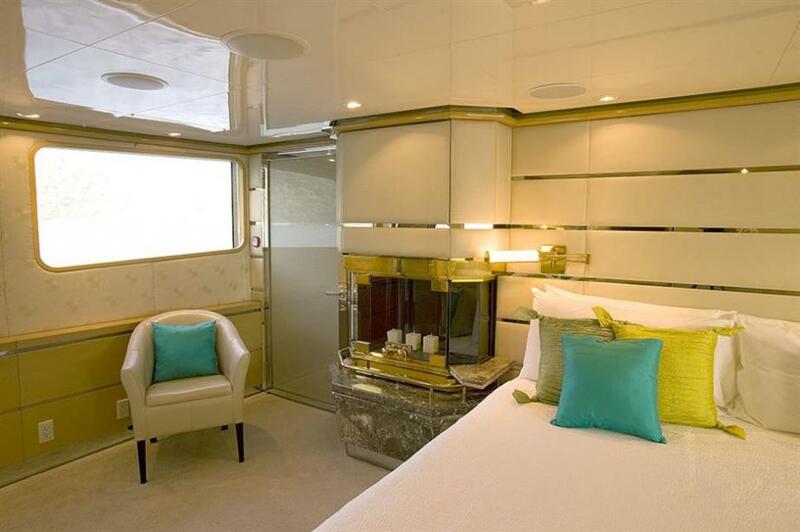 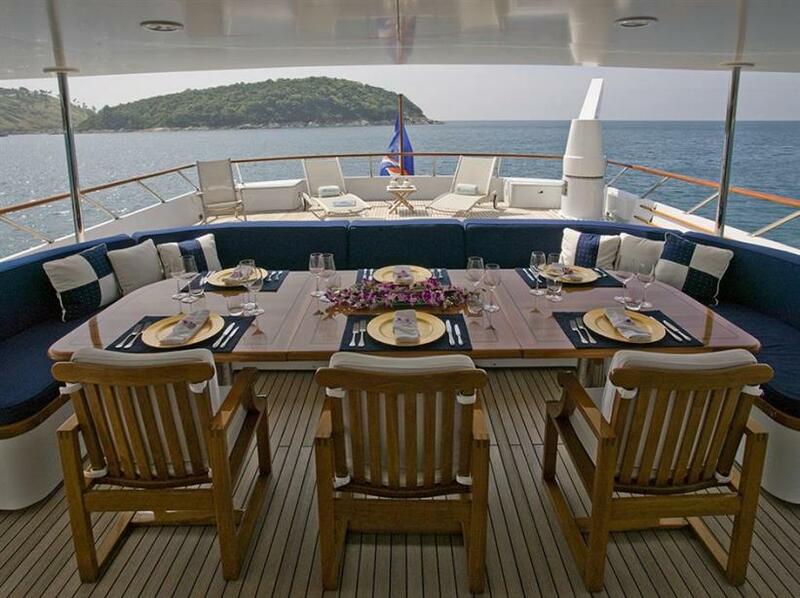 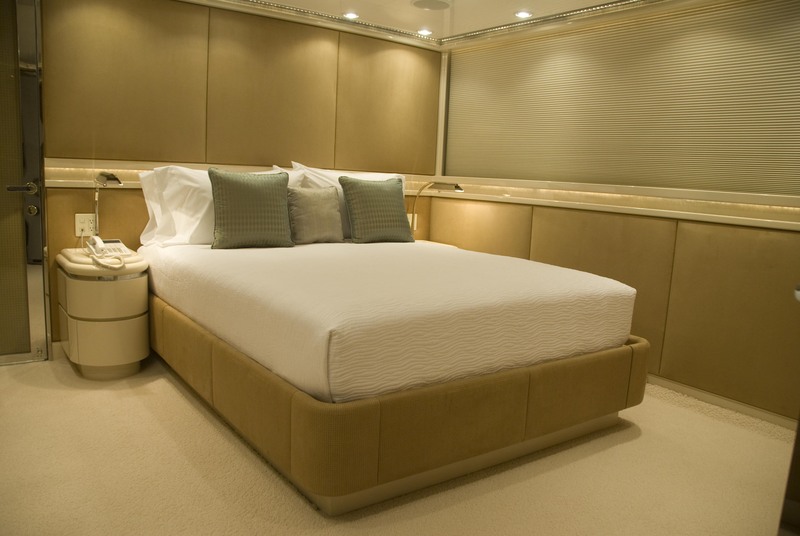 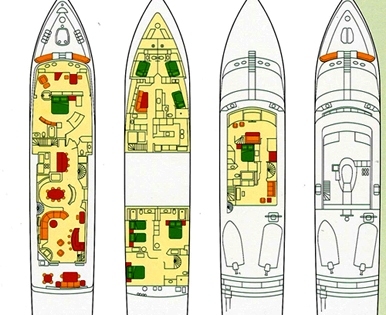 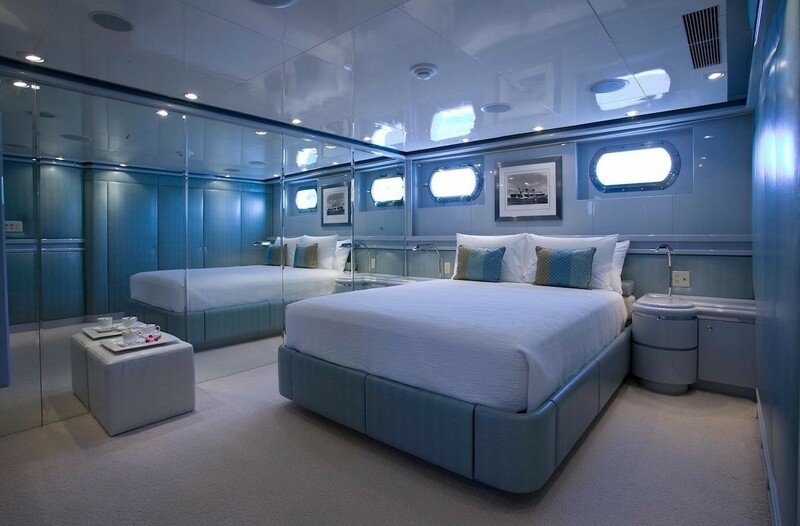 This suite can be completely isolated from the remainder of the yacht for total privacy. 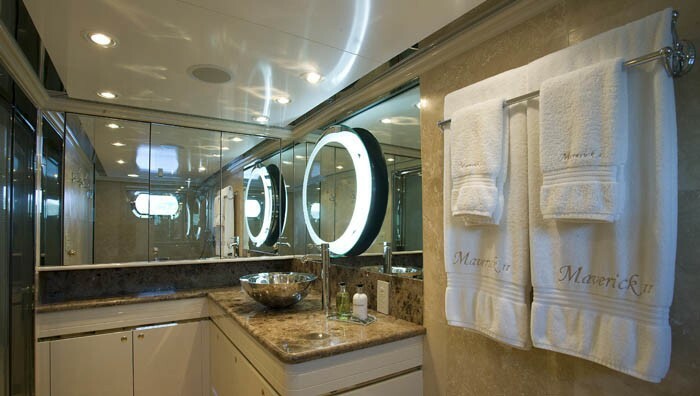 The Owner’s Suite is equipped with a variety of features including a king sized centerline bed, fireplace, walk-in closet, full entertainment system and an ensuite head with Spa Pool. 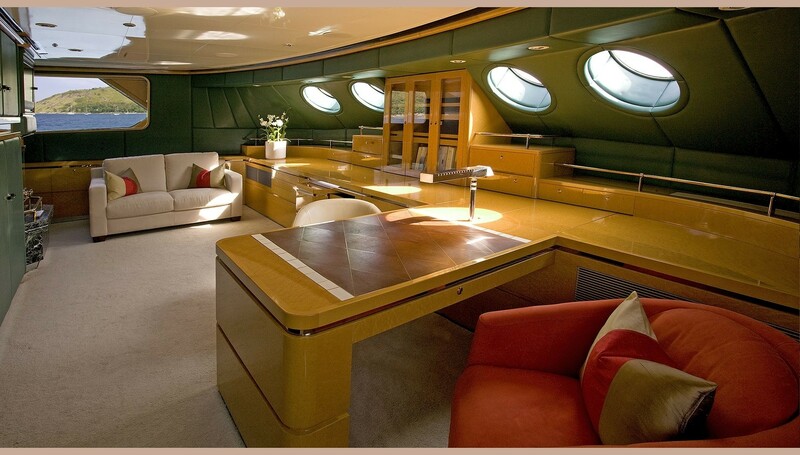 The owners suite office is furnished with a bird’s eye maple desk, a fireplace, exercise equipment and occasional chairs. 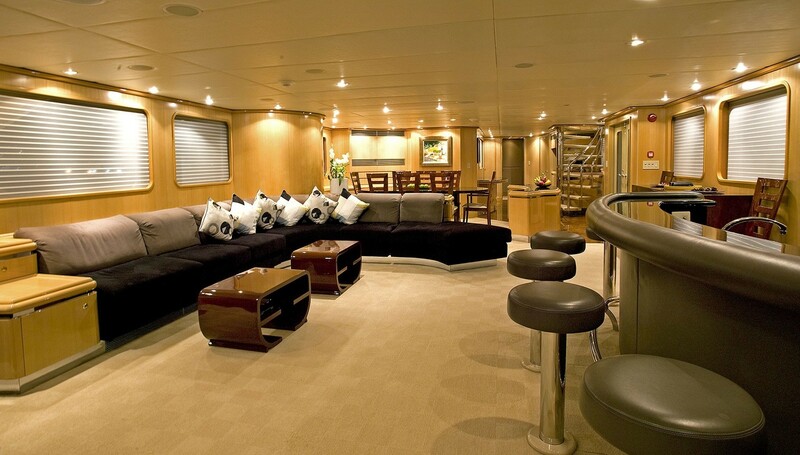 All other guest cabins are located on the lower deck. 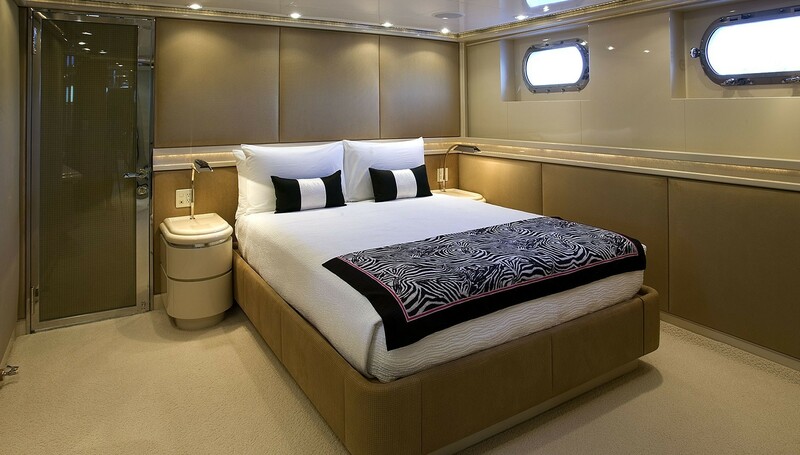 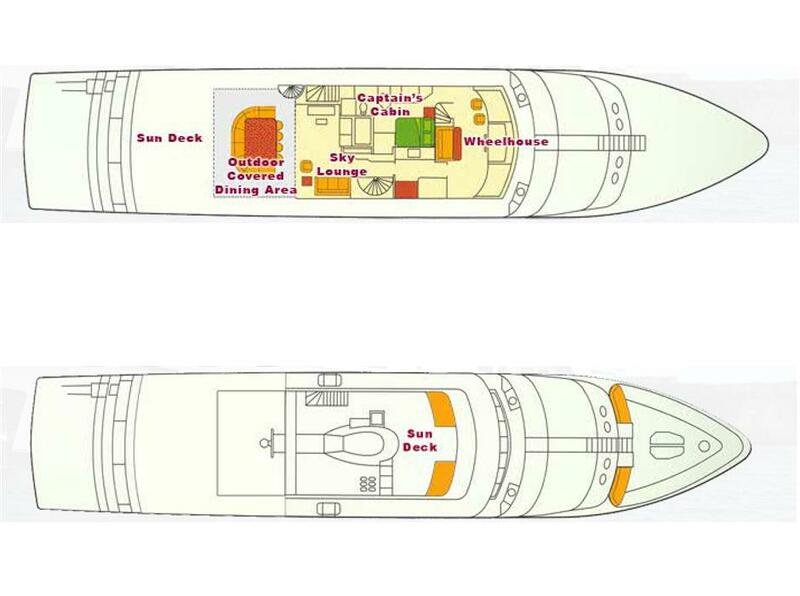 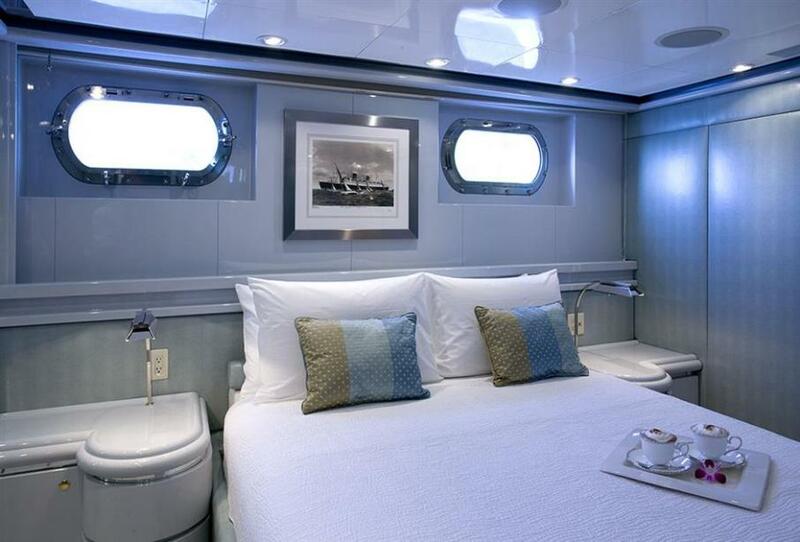 The starboard cabin is equipped with a queen bed, built in vanity, good storage and an ensuite head with shower. 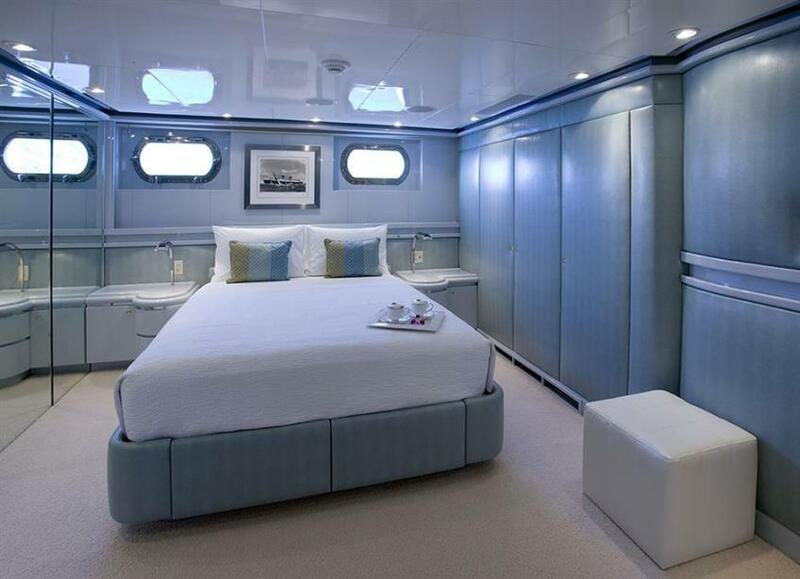 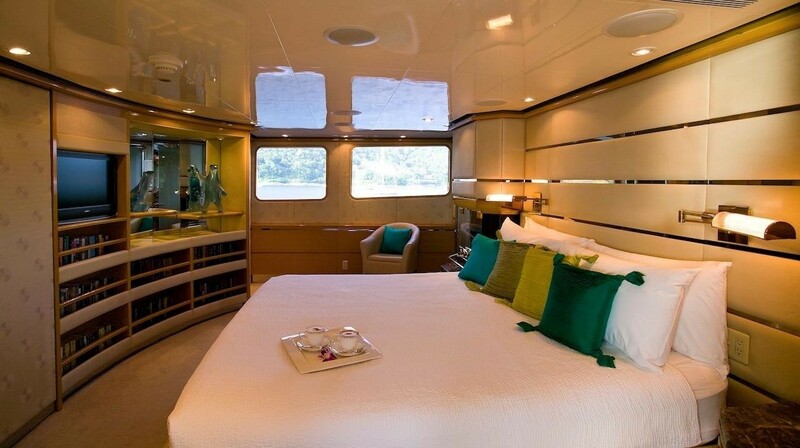 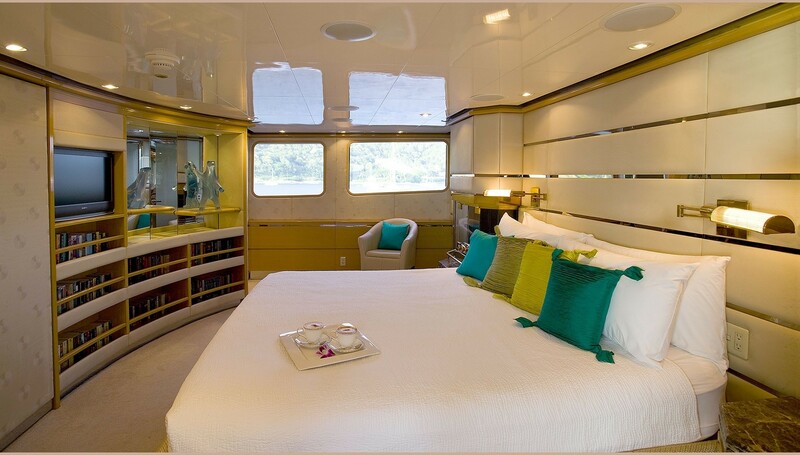 The port cabin has twin beds and a removable night stand to allow for conversion to a king if preferred by guests. 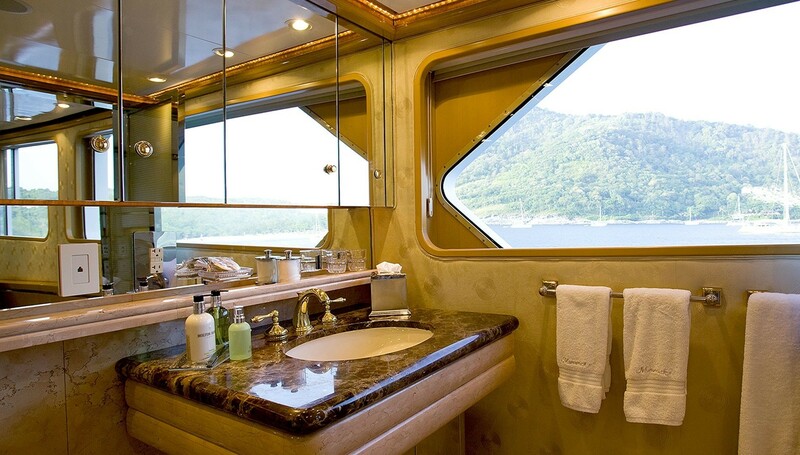 This cabin is also equipped with a built in vanity and ensuite head with shower. 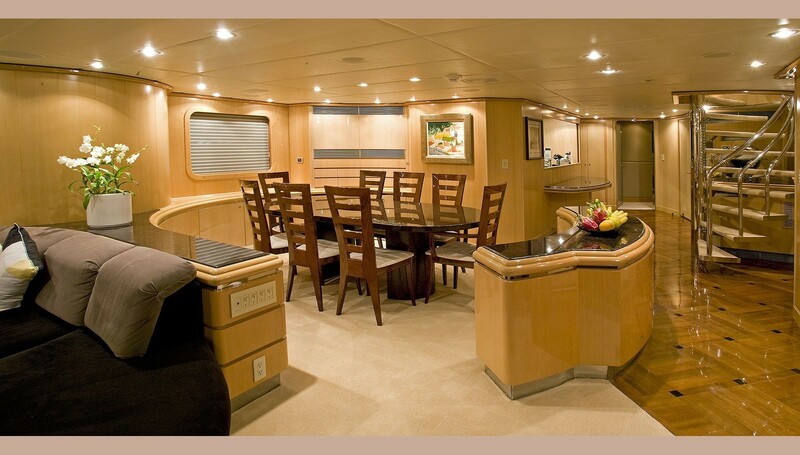 Both cabins are equipped with entertainment centers. 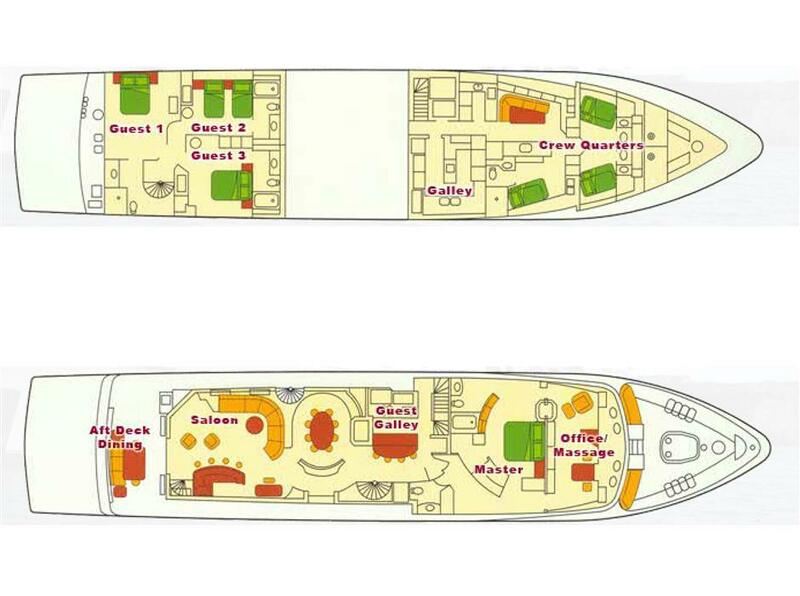 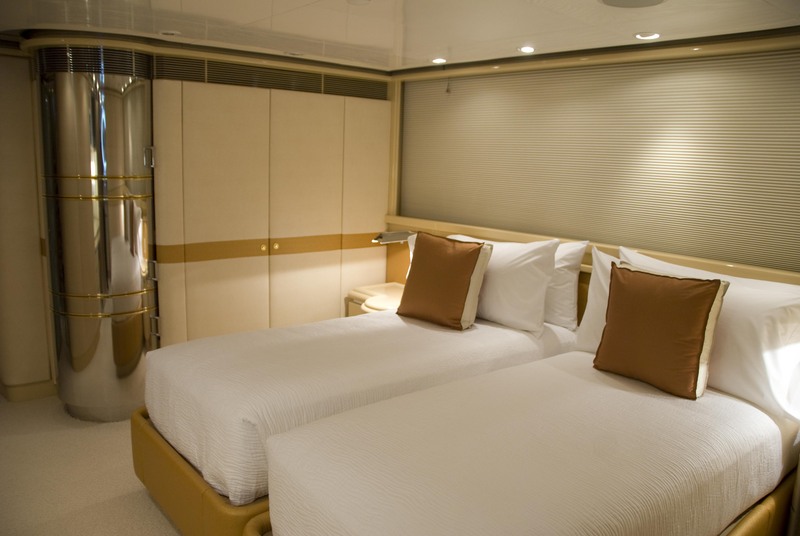 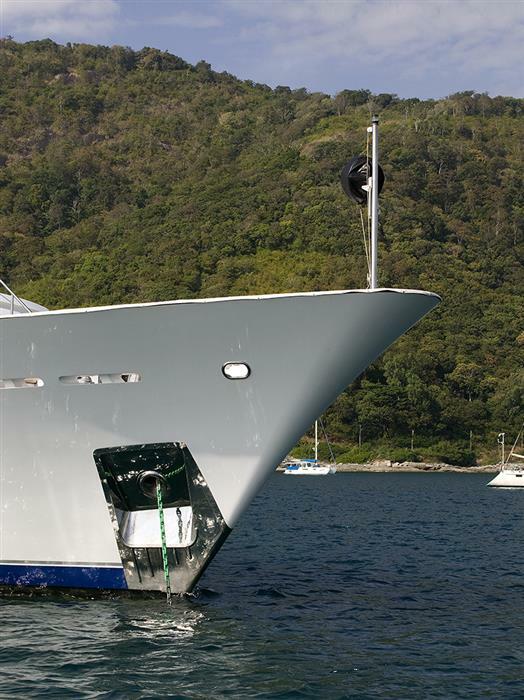 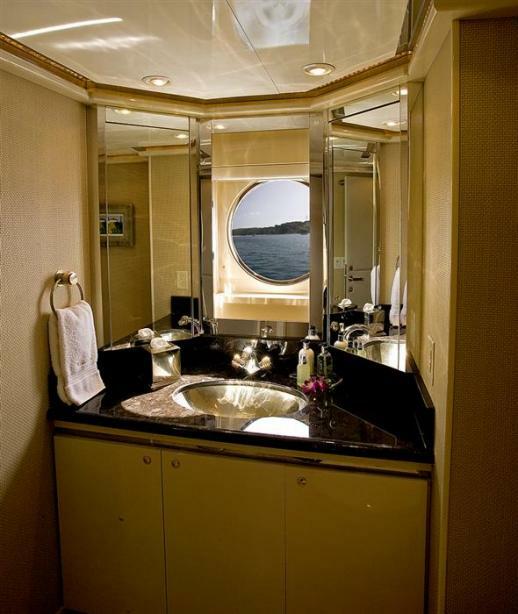 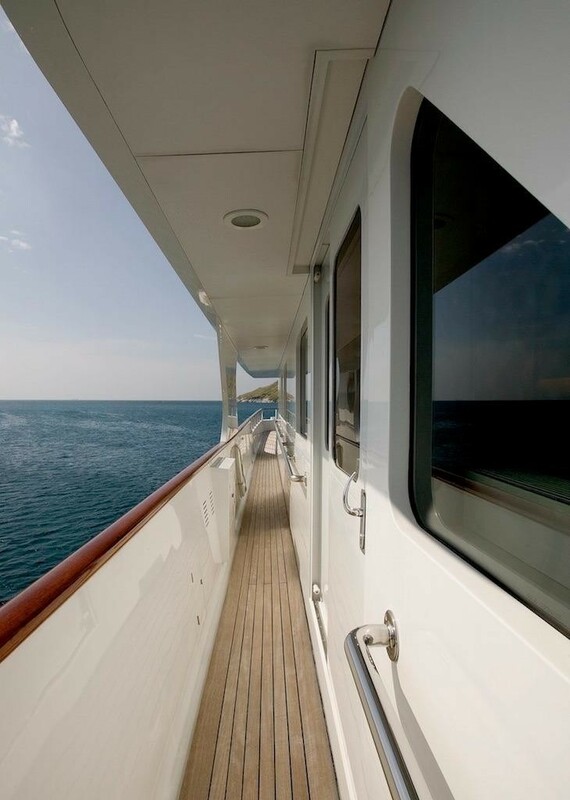 Fully aft you’ll find the full width VIP stateroom with queen sized bed and a large ensuite head with shower. 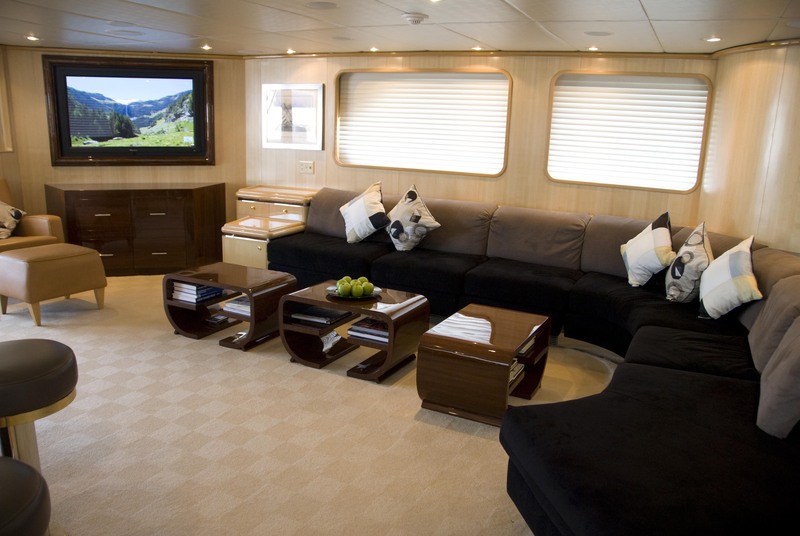 This VIP cabin also has a full entertainment center. 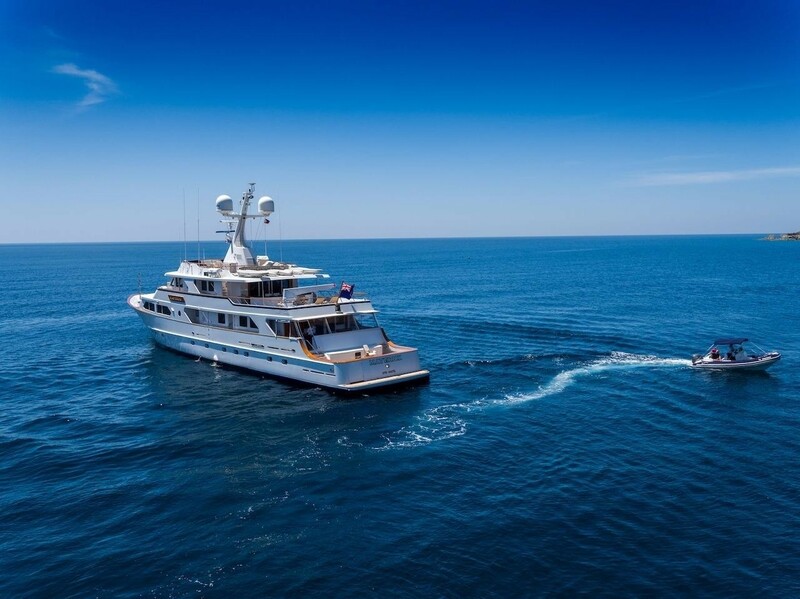 Adventure Motor Yacht MAVERICK has just undergone an extensive refit so not only does she look new, modern and fantastic, she is also fully equipped with a range of water toys that would keep even the most active busy. 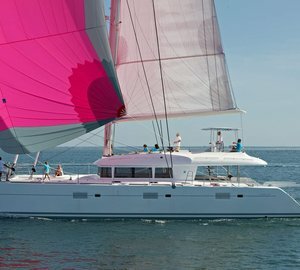 These include 3x windsurfer with 6 booms and masts and a variety of sails for all wind conditions and abilities, a large selection of inshore and offshore fishing equipment with full-sized fight chair for sport fishing, a large variety of new snorkeling equipment, 6 full sets of SCUBA equipment for qualified divers, 2x Sunfish sailing dinghies with competition sails, 3x Hobie kayaks (2 single, 1 double), a 19 foot Nouvarania with 150hp outboard and a 12 foot Nautica with 25hp outboard. 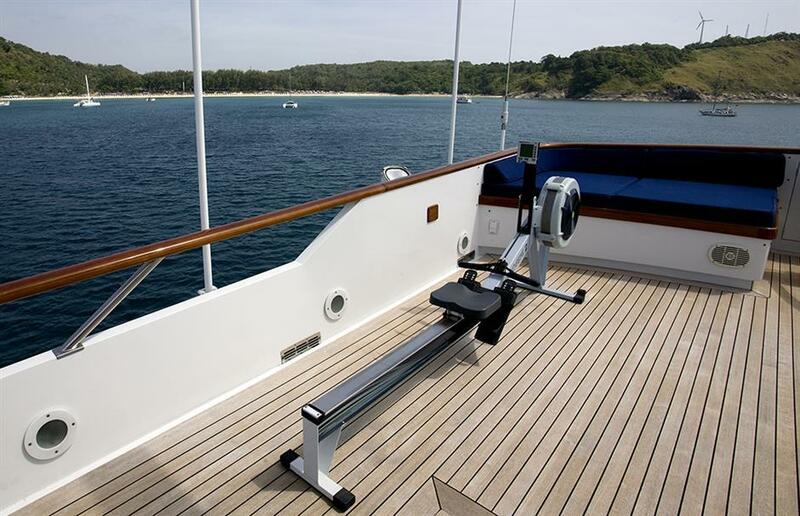 Further entertainment facilities include 2 folding bikes and a concept II rowing machine. 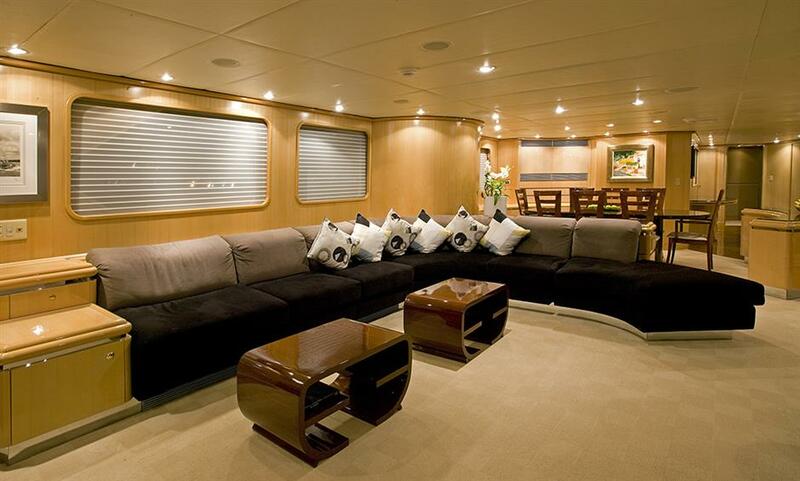 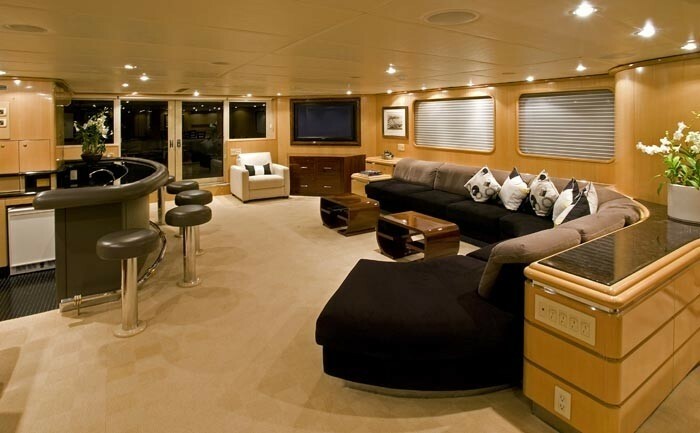 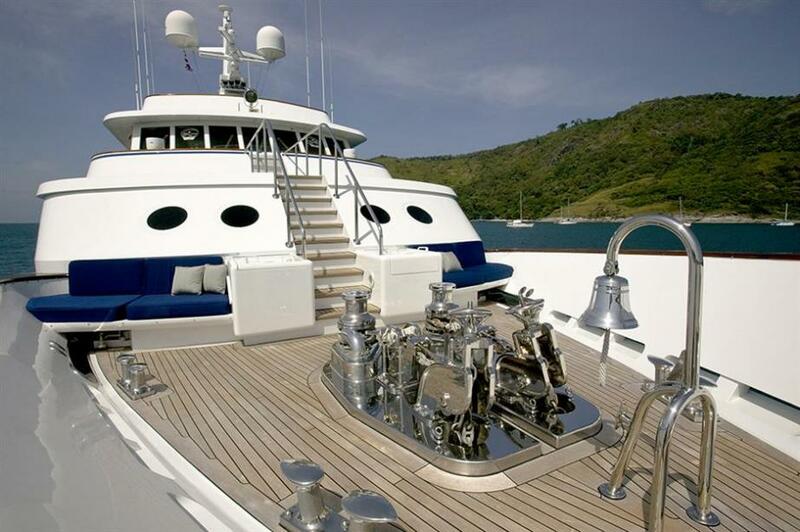 Indoors, she is equipped with a full state of the art audio visual systems and satellite television. 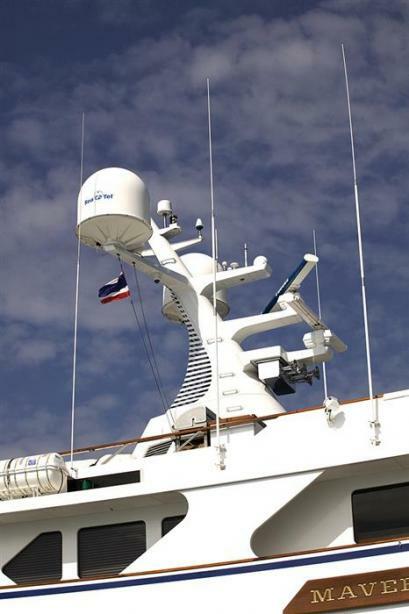 Communication facilities onboard include Satcom Fleet 77 worldwide communication; cellular capability where available and WIFI internet.